Lake Powell Communications is your source for local news in Page Lake Powell, Arizona. Surrounded by five National Parks, Page and Lake Powell have some 3 million visitors annually. Built on a high red rock mesa, Page offers grand and beautiful vistas of Lake Powell and red rock cliffs that define the area. Originally built to house the Glen Canyon Dam construction crew, Page has become a bustling center — providing lodging, tours, and restaurants to adventure seekers worldwide. On the road from Grand Canyon to Glen Canyon to Zion and Bryce National Parks, the Lake Powell area has become a tourist attraction for some 3 million international and US visitors annually to Lake Powell and slot canyon attractions. Lake Powell Life – Our online magazine providing breaking local news, event information and classified advertising to the Grand Circle of Northern Arizona and Southern Utah. Bookmark our site and visit often — you’ll soon find yourself immersed in a unique and wondrous life that can only be found at Lake Powell Life. 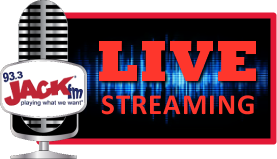 KXAZ 93.3 FM Radio Station – Our FM 93.3 radio station provides daily news and features in addition to syndicated national news and Classic Hits music programming to Lake Powell, Northern Arizona & Southern Utah. Tune in for classic rock as well as the latest local news, classifieds, and community billboard. KPGE 1340 AM Radio Station – Tune in to KPGE, broadcasting country music and local news for Northern Arizona and Southern Utah. Our top country hits at KPGE 1340 reaches a broad native, local, and international tourist population. Catch the latest local and national news as well as classified advertising and community events at KPGE 1340 AM. 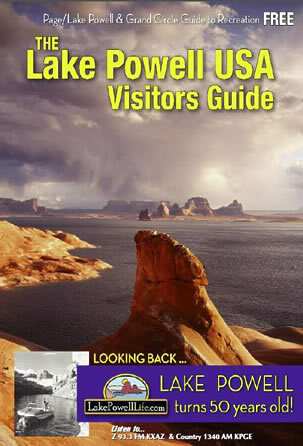 Lake Powell Visitors Guide – This popular free publication is distributed at our kiosks and businesses in the Lake Powell area and provides travel information about key attractions in the area. With map, travel tips, beautiful photography and local listings, this is an essential handbook for tourists and locals alike.